After returning to Lahore in 1908, Iqbal taught philosophy at Government College for a few years. In 1911 he resigned from government service and set up legal practice. Meanwhile he continued to write poetry in Urdu and Persian, Asrar-i Khudi (Persian) was published in 1915. Translated into English as The Secrets of the Self(1920) by Professor Reynold Nicholson of Cambridge, the book introduced Iqbal to the West. Asrar-i Khudi was followed by several other volumes: Rumuz-i Bikhudi (1918), Payam-i Mashriq (1923), Bang-i Dara (1924), Zabur-i ‘Ajam (1927), Javid Namah (1932), Musafir(1936), Zarb-i Kalim (1937), and Armaghan-i Hijaz (1938, posthumously). Iqbal wrote prose also. His doctoral thesis, The Development of Metaphysics in Persia, was published in 1908, and hisReconstruction of Religious Thought in Islam (with a 7th chapter added to the original set of six lectures, first published in 1930), in 1934. 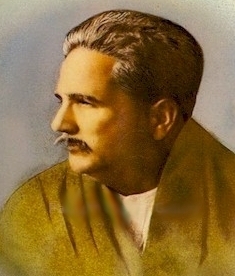 Many of Iqbal’s poetical works have been rendered into foreign languages, including English, German, Italian, Russian, Czechoslovakian, Arabic, and Turkish. His works have also spawned a vast amount of critical literature in many languages. Although his main interests were scholarly, Iqbal was not unconcerned with the political situation of the, country and the political fortunes of the Muslim community of India. Already in 1908, while in England, he had been chosen as a member of the executive council of the newly established British branch of the Indian Muslim League. In 1931 and 1932 he represented the Muslims of India in the Round Table Conferences held in England to discuss the issue of the political future of India. And in a 1930 lecture Iqbal suggested the creation of a separate homeland for the Muslims of India. Iqbal died (1938) before the creation of Pakistan (1947), but it was his teaching that “spiritually … has been the chief force behind the creation of Pakistan.” He is the national poet of Pakistan. The theme of humanity is closely linked in Iqbal with that of khudi(literally, “selfhood”). Khudi is a complex thought in Iqbal. Broadly speaking, it represents the principle of the inner self with an urge to manifest itself Societies as well as individuals have khudi, and it is on the development or suppression of one’s or failure in the world depends,khudi that one’s success the khudi of slaves, for example, is moribund.